The Todd Group has depots through New Zealand including Auckland, Rotorua, Foxton, Wanganui, Petone, Nelson, Christchurch and Clyde. There are international depots in various countries including Australia, the United Kingdom, Germany and South Korea. Find out why the informed and committed travel 'down under' to learn from a genuine instructor qualified descendant of the pioneers of World War II armed and unarmed combat. Be trained by a current special operations close combat master chief instructor in the most current and battle proven armed and unarmed combat. The current Todd Group Chief Instructor, Tank Todd, is a military special operations CQB Master Chief Instructor with over 20 years experience. He has been trained by such legends as Harry Baldock, Col Rex Applegate, Charles Nelson. He has also been instructor qualified by the current elite special operations close combat Master Chief Instructors to the rank of Master Instructor. He has a lineage of no other living military qualified instructor and more military CQB instructing time than any other allied elite master instructor. For training enquiries please contact us at [email protected]. Do you know how to combat this situation? If not, get correct and proven self defence and combative training from a military close quarters battle master instructor. NZ’s first and foremost close combat & self defence professionals est 1927. Chief Instructor: Geoff Todd, Military CQB Master Chief Instructor. Final 2014 intake is in August. Membership includes training in our central city fully equipped combative & combat sports facility. Combative membership allows free access to boxing, kickboxing, wrestling & weights gym. Non members boxing and kickboxing training $4 session, no joining fee, no annual subs. To be included on an upcoming CPP course advisement email list, email your interest to [email protected]. 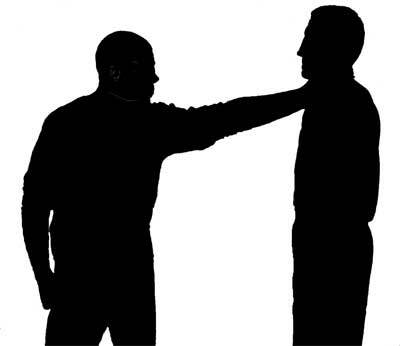 We have been conducting specialist close personal protection courses of instruction for decades. Our specialist Close personal protection courses of instruction are open to responsible adults. 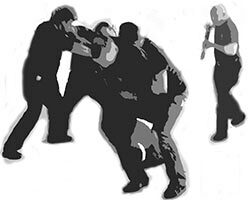 There are as many corporate's and combative enthusiasts as those pursuing close protection careers on courses. Course participants include company directors and traveling corporates that are not in a position to to have close protection specialists on the payroll and want to learn all the skills to make themselves their staff family and friends as safe as possible under their protection. Individuals intending to travel extensively internationally also undertake our specialist basic entry-level course of instruction. We export our CPP courses to Thailand our hub global country to reduce the travel duration and costs in comparison to attending courses at our New Zealand HQ and also to ensure courses are conducted in a country where English is not the primary language. This adds to the training exercises benefits in relation to exposure to close protection requirements in a foreign environment.